Ms. Clark represents families and small investors, private equity, owner-users, and institutional investors with asset requirements ranging from $5 million to $20 million. In 2016, Ms. Clark ranked among the top five commercial brokers in transaction volume in Los Angeles, posting 35 transactions. She also leads among female commercial agents in Los Angeles. 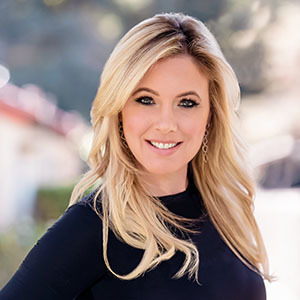 Her formidable database of the most active buyers and sellers in Los Angeles County provides clients with maximum exposure for their interests and the swift and efficient completion of deals. She has built a support team of four licensed assistants and two coordinators. Ms. Clark's ability to identify new opportunities, apply strategic approaches to valuation and marketing, and utilize her problem-solving and negotiating skills assures that clients will realize the most value for their position. In recognition of her accomplishments, Ms. Clark was ranked among Real Estate Forum's "50 Under 40" in 2016. Ms. Clark began her commercial real estate career at Marcus & Millichap, where she served as an associate in the West Los Angeles office. Her experience there is informed by the recession years of 2007 - 2009 and an emphasis on careful and deliberate financial analysis. She joined Compass in 2018 and continues to represent her many longtime clients along with an expanding group of clients who value her expert guidance. Ms. Clark is a graduate of University of Wisconsin, Madison; and a Member of the Association of Industrial Realtors (A.I.R. ); International Council of Shopping Centers (ICSC); and Commercial Real Estate Women Los Angeles (CREW).